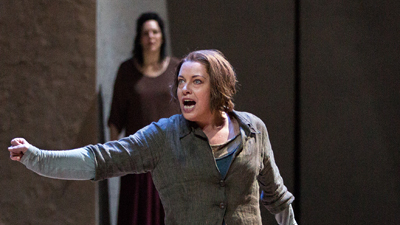 American soprano Christine Goerke is one of today’s most celebrated interpreters of the title role of Strauss’s exhilarating Elektra. In this performance, her powerful soprano soars above the opera’s frenzied score, deftly conducted by Met Music Director Designate Yannick Nézet-Séguin. 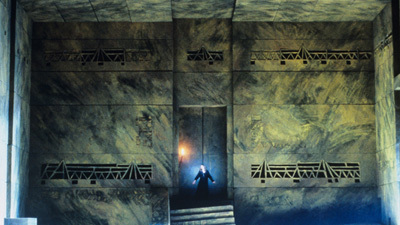 The cast also includes the equally impressive soprano Elza van den Heever as Elektra’s sister Chrysothemis, as well as mezzo-soprano Michaela Schuster, who offers a nuanced portrayal of the agonized Klytämnestra. With his robust bass, Mikhail Petrenko rounds out the ensemble as Orest.